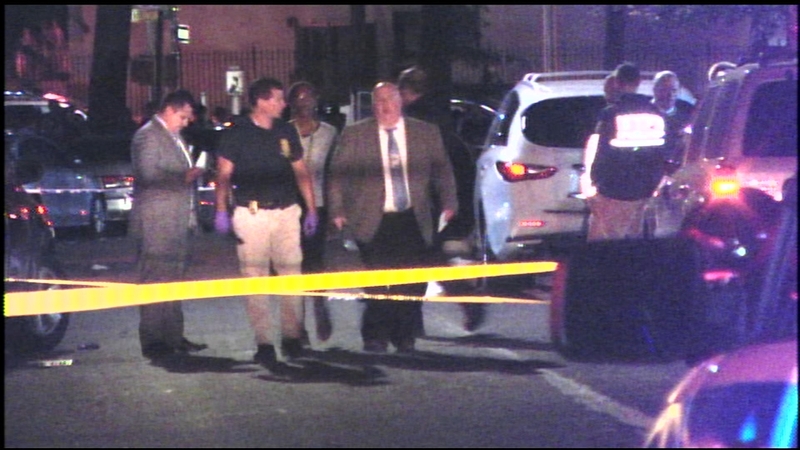 BEDFORD PARK, Bronx (WABC) -- Police responded to the scene of a deadly double shooting in the Bronx on Tuesday night. A father was shot and killed while walking with his teenage son in front of an apartment building in Bedford Park, authorities say. Police identified the victim as 39-year-old Pedro Sanchez Almonte. Police say a gunman on a bicycle approached the man's 14-year-old son about a possible gang-related dispute and opened fire. A 25-year-old man was grazed by a bullet in the head. Police say he appears to be an innocent bystander.